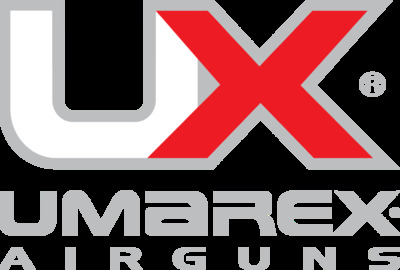 In this 2016 SHOT Show Interview I talk with Nichol Goines from Umarex USA. Nichol and I discuss some new and somewhat revised products from Umarex like the Full Blowback Smith & Wesson M&P40, the soon to finally be released Beretta Model 92 A1, a new Pellet version of last years Colt Single Action Army Revolver and a reappearance and revision of the Walther PPK CO2 Blowback BB pistol. 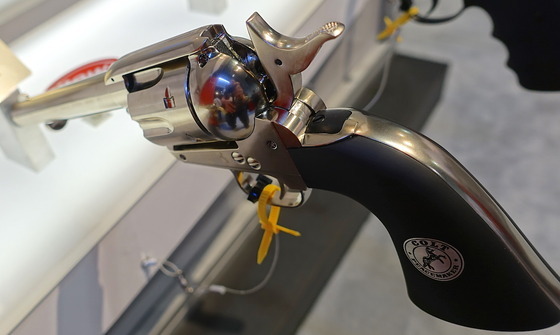 Last year Umarex introduced their Colt Single Action Army CO2 BB Revolvers and I would say last year they where on of my highlight airguns for the show. They have been selling like gang-busters! One question people have been asking is if there will be a pellet shooting version? Well now there is and like the Steel BB version the pellets load from the back of the shell making it super easy to reload the removable brass shells. The new Pellet SAA Revolver also has a rifled barrel to help with accuracy. 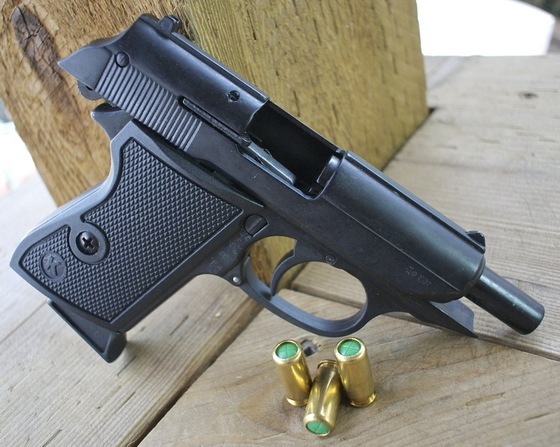 Speaking of the Beretta Model 92 A1 CO2 Blowback BB pistol. It is finally getting released this February and like the S&W M&P40, is a virtual identical replica of the original Beretta Mod. 92 A1 complete with full blowback, a full size drop out magazine and of course all the trades and licensing in all the right locations. Some more Full Auto Fun Videos coming at you and make sure to check my previous ones out too! In this Full Auto Fun Field Test Shooting video I bring out my original Umarex Walther PPK Blowback CO2 BB Pistol. The PPK I converted to full auto and that started it all off by being my first YouTube video upload. Wow, that was a while ago now! 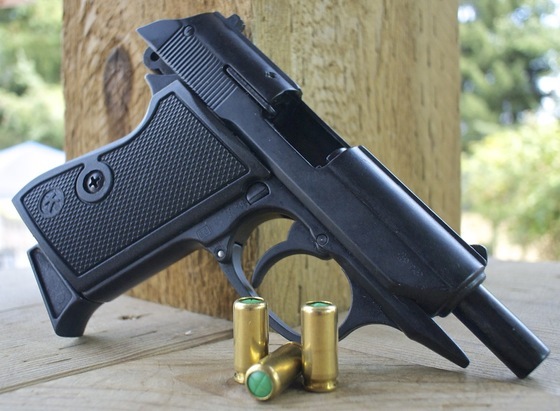 I do have to say, modifying the PPK to Full Auto is not recommended, mine originally worked well but the heavy blowback in full auto eventually broke the firing pin setup and I lost it somewhere in my back field. I had to Macgyver a bolt in place to kind of work but now my Full Auto Modded PPK shoots out of control, what I mean by this is when I press the trigger, it does not stop shooting until all the BB's are gone. Safe, I don't think so! 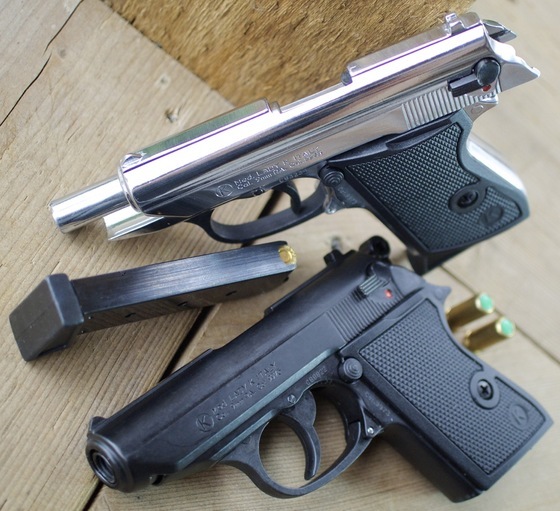 My suggestion is to leave the Umarex Walther PPK as is, it truly is a an awesome CO2 Blowback BB replica with some really decent blowback recoil in a small airgun. After many many requests to show how the Umarex Walther PPK CO2 Tab Modification is done I have relented to public demand. I don't actually cut my tab in this PPK CO2 Tab Modification Video but I do go step-by-step in detail and compare my modified Umarex PPK to my unmodified Umarex PPK. It is really very basic on how this is done and only a hack say and perhaps a file are all that is required to make the modifications to the PPK CO2 tab in order to make it flush with the bottom of the handle area. 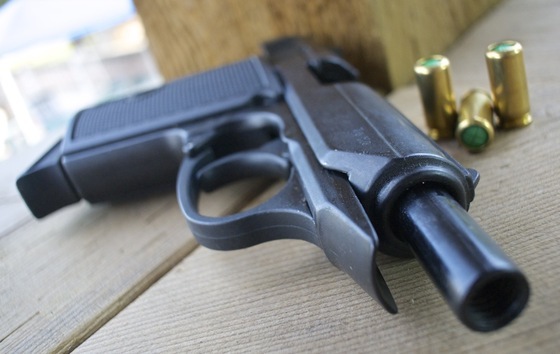 Place an empty (already pierced) CO2 into your Umarex Walther PPK and tighten the unmodified CO2 tab until fully tightened, just like you would tighten a fresh CO2. Take note at how many threads are exposed between the bottom of the handle and the top of the plastic CO2 tab, there should be about 2-4 threads exposed. 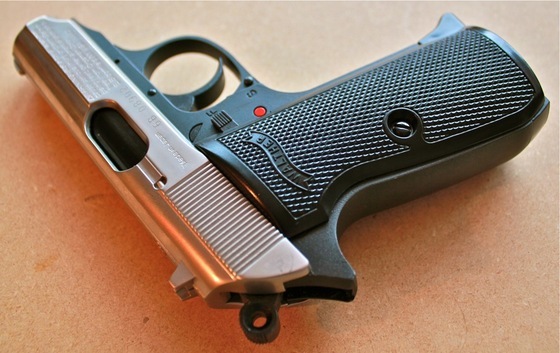 Unscrew the CO2 tab all the way, place the PPK BB Pistol so it is secure (in a vice of some sort) and use a hacksaw or dremel to shorten the CO2 screw just above the plastic tab at the thread location you previously noted. Be conservative as you can always cut or file the screw a bit shorter if your first cut was not short enough. Now use the same hacksaw or dremel to cut a notch in the exposed cut area of the CO2 screw so that you can use a slot screwdriver to tighten the CO2 screw. That's it - Enjoy your modified Umarex Walther PPK CO2 BB Pistol! 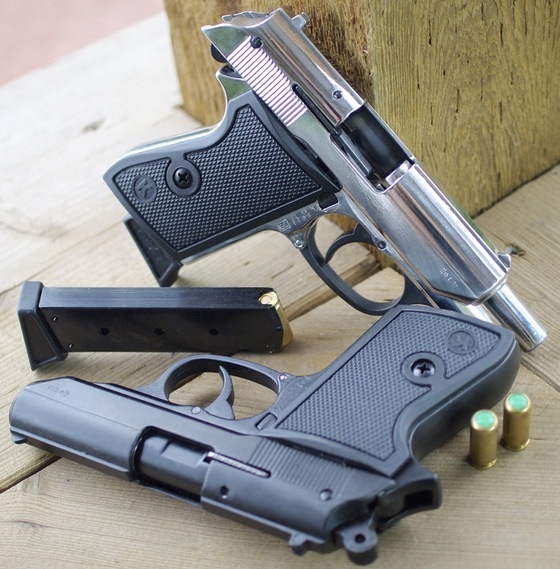 We've had the all black version so why not add the Nickel Slide PPK/S too! Enjoy the excitement of the Umarex Walther PPK/S, one of the world's most famous pistols made infamous by the popular James Bond 007 movies. Fire 15 steel 4.5mm BB's as fast as you can pull the trigger with its ultra realistic blowback recoil. This air pistol has a heavyweight steel construction with an authentic look and feel you will surly enjoy! Another filed test video in the series. This one is of the Umarex Walther PPK/S CO2 4.5mm BB pistol, I show you both my regular unmodified all black PPK/S and shoot it through my Chrony Chronograph with an averaged reading of 282 FPS, not bad considering the manufacturers claim is 295. I also shoot 8 rounds with my stock Umarex PPK/S at a target to see what kind of accuracy I get, and just for fun I shoot a 15 round magazine into the same target with my modified fully-auto sliver slided PPK/S. To finish things up, I slowdown the action just a bit using my high speed Casio camera to capture the blowback action of both my stock and modified Umarex Walther PPK's. Enjoy my YouTube Video of my Umarex Walther PPK/S CO2 BB pistols getting Chronographed, shooting at a target and slowed down a bit with my High Speed Camera. Action: Semi auto single action. 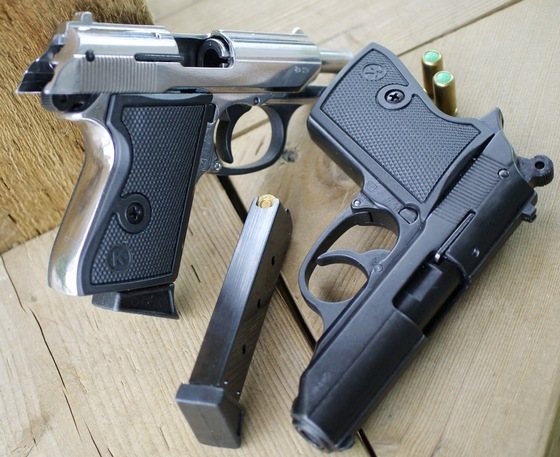 Trigger Pull: The EKOL Major is single action only, the trigger pull is relatively light as would be expected. Build Quality: The build quality is similar to that of my Zoraki blank guns. 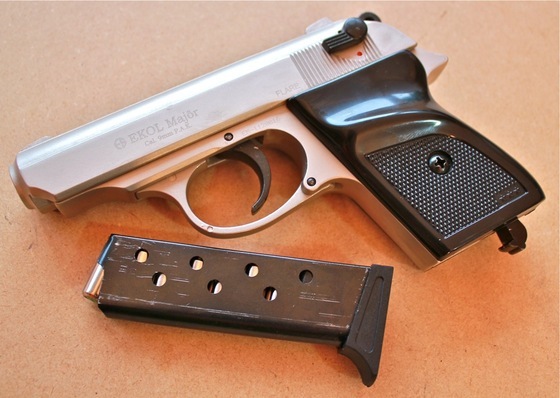 The EKOL Major is well built and uses good quality materials, this gun is almost all metal. The finish quality is typical of other Turkish guns - good but not perfect, the satin finish on the Major looks really good giving the gun a nice two-tone look. I can't say I like the grips all that much as they are a bit shinny, but they do the job and don't to be brittle or anything. The gun seems solid and the fit and finish are also respectable. Realism: The EKOL Major is a copy of the Walther PPK pistol most notoriously used by Agent 007 in many of the early James Bond movies. 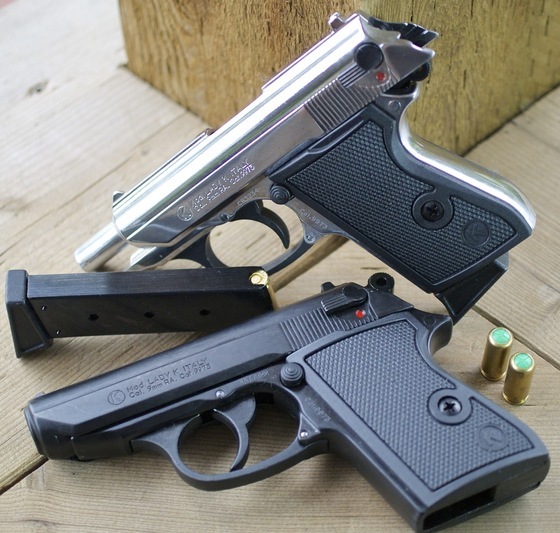 It is a fairly accurate PPK copy other than the magazine release which on the EKOL Major is located on the bottom of the handle just behind the magazine, whereas on the real Walther PPK it is located on the left side of the frame just behind the trigger. In Canada you can only get this gun in a blank version unless you have a prohibited gun license. If you're a James Bond fan, would make a great addition to your 007 collection. Performed well - no loading, ejecting or misfires. Even though it's small it still can take 7+1 rounds of 9mm P.A.K. ammo. One of the lower priced blank guns. Magazine ejector is on the bottom and not the side like a real PPK, but it's still effective. No slide release but this is true to the original design. The EKOL Major is a nice overall 9mm P.A.K. blank shooter, it has a very simple design and the classic semi auto compact pistol look. It is one of the easier guns to filed strip making it easy to clean if you plan on using it regularly. 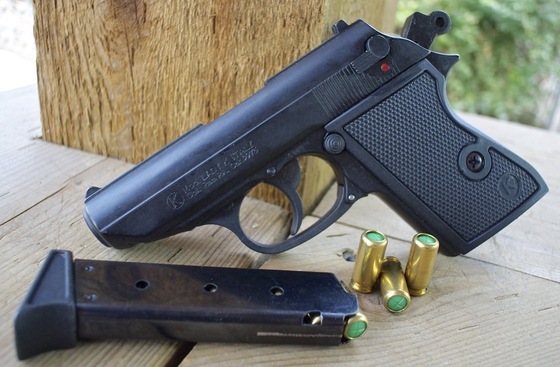 If your a James Bond fan and want the Agent 007 sidearm without the hassle of actually purchasing a real Walther PPK then the EKOL Major might just be right for you. Must be one of my Subscribers. 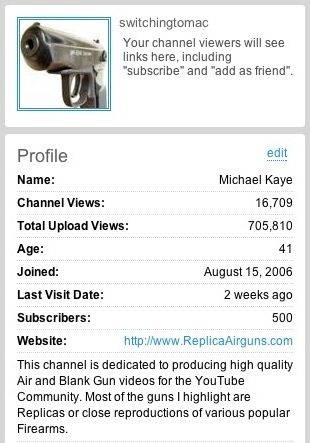 Must make a video response to my 500th Subscriber Contest YouTube Video. If you don't have any of these guns, tell us what you plan to get in the near future. Must be of legal age for this gun or have a parent receive it for you. Deadline is end of day February 28th. *In the event that someone from outside of North America wins (because of shipping and other legal reasons), I will credit that person with the equivalent North American Umarex PPK/S value (via PayPal). Good luck to everyone, I look forward to watching all your video responses, make sure to get them in by no later than midnight of February 28th 2011! Materials: Mostly metal with some plastic parts. Barrel: 3.5 inches, metal non-rifled. Action: Semi auto, blowback, single action. Trigger Pull: The trigger pull on this gun is very light as a result of the true blowback action cocking the hammer with each shot. 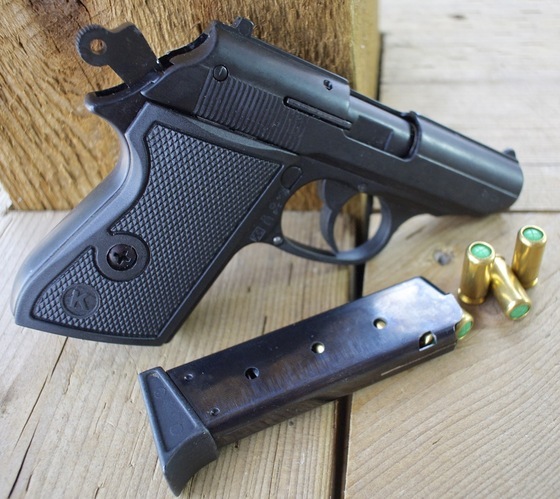 Accuracy: For a short barreled non-riiffled BB pistol it tested fairly well with most of the BB's grouping within a 2 inch area at 20 feet out. There where some stragglers however. Build Quality: This gun is almost entirely metal with the exception of the pistol grips, safety lever, magazine and outer barrel shroud. It has excellent detail and the fit and finish are pretty good. 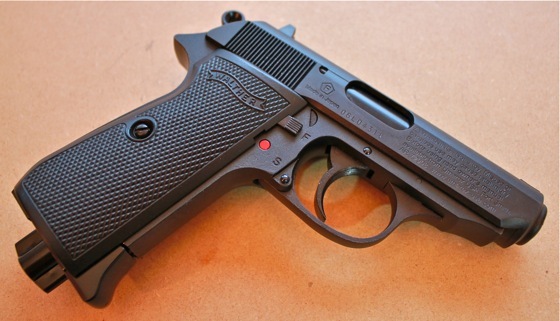 Realism: The Umarex PPK/S is a replica of the actual Walther PPK/S, well know in the popular 007 James Bond movies. 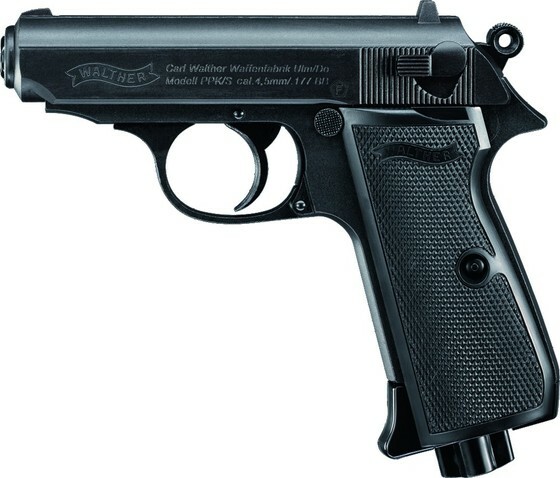 It has the Walther licensing on it in all the right places and overall looks a lot like the real Walther PPK/S with the exception of the lower handle and magazine release area. The handle on the BB version is a bit too long and the oversized CO2 piercing screw really takes away from the potential realism of this gun. That said, it's rather easy to cut the piercing crew shorter and add a notch in it so you can alternatively use a screwdriver to tighten it and gain back a bit more realism. Purchased From: The Replica Airgun Store. 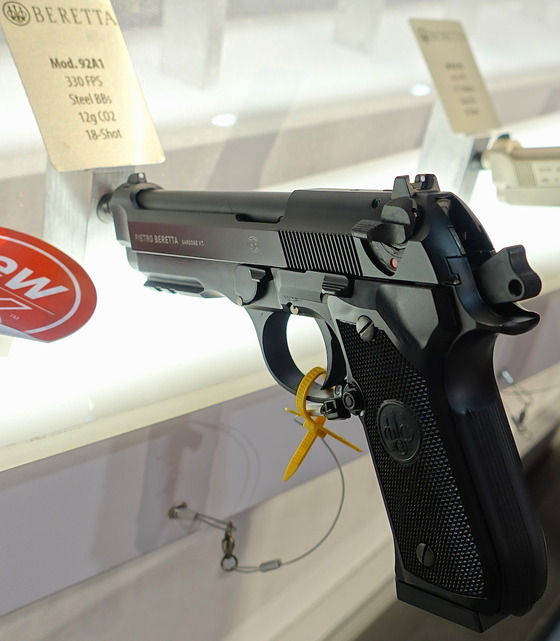 Good reproduction of the original Walther PPK/S. Would make an excellent training gun as it has a similar size, weight, and feel to the actual Walther PPK/S. Blowback action and very light trigger pull makes it really fun to shoot. Decent accuracy for a short barreled BB pistol. Plastic magazine and out of place safety lever. The CO2 piercing screw is really ugly and a realism killer for this gun. The Umarex Walther PPK/S BB pistol in my opinion is a must have collector piece. Even if you're not a big airgun fan, this is a great way to own virtually the same gun James Bond used in his early 007 movies. The Umarex PPK is a well made fun shooter at an affordable price with surprisingly not too bad accuracy. This is a video I posted on YouTube a while back that has gotten a lot of views (Now Over 300,000). It's basically me and a friend shooting a couple of guns. 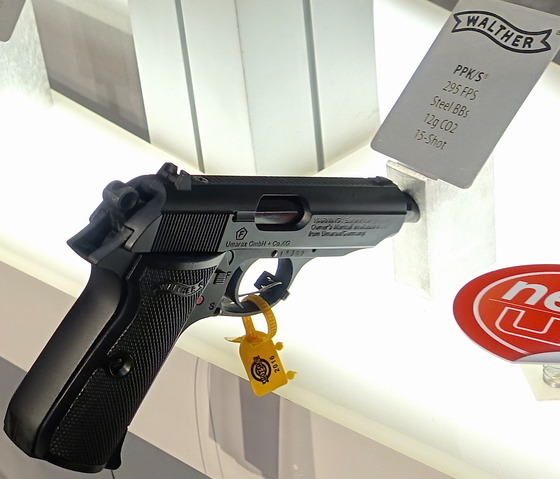 The first set of guns (One in each hand - Tomb Raider Style) are two Walther CP99 Compacts made by Umarex. 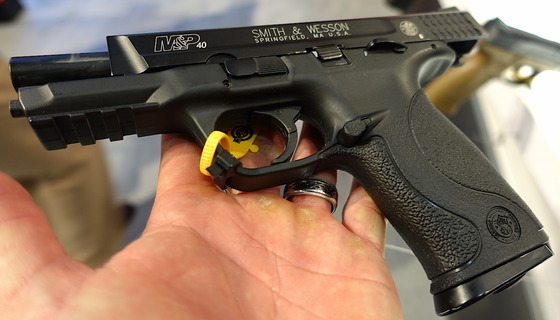 The CP99 Compact is a great little BB gun with a very fast and light trigger pull.